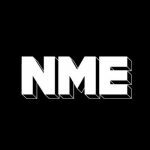 Here at NME Radio we are more than delighted Kasabian have been announced to headline Reading And Leeds Festivals this summer. Without doubt, it is the biggest festival of the season with the absence of Glastonbury. It seems fitting that the biggest band in Britain have been chosen to headline. I caught up with Serge, the brains behind the band, at the end of last year.